Cllr. 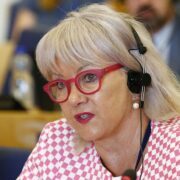 Deirdre Forde has been appointed rapporteur in the ECON commission for the opinion on the European Commission’s proposal to establish a new Single Market programme. This future programme is highly relevant from a local and regional perspective perspective as it includes the support to SMEs and the continuation of the European Enterprise Network which, in Ireland, is delivered by a partnership including Enterprise Ireland, Cork Chamber of Commerce, Dublin Chamber of Commerce and the Local Enterprise Offices (LEO) located throughout the country. Cllr. Forde’s opinion is expected to be presented to the ECON commission on October 23rd and in plenary in December. 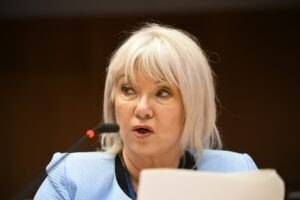 The July CoR plenary session saw the adoption of Cllr. Kieran McCarthy’s opinion on the implementation assessment of the EU urban agenda. The opinion recognises the potential offered by the Urban agenda to improve European cities, but regrets its non-binding nature and calls for the EU institutions to reaffirm their commitment to urban matters and place the process on a formal footing. As such Cllr. 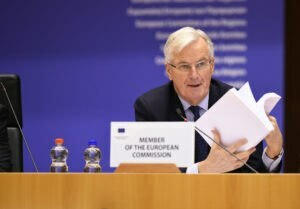 McCarthy took the opportunity to welcome the evidence of an increasing emphasis on urban policy within the European Commission’s proposals for Regional Development and Cohesion Policy beyond 2020. The opinion drafted by Cllr. McCarthy on the Implementation assessment of the urban agenda for the EU has been unanimously adopted by the COTER commission on April 27th. While welcoming the Urban agenda and its working methods that allow urban authorities to directly engage in EU decision-making, the opinion identifies ways in which the agenda could be improved in the future. It first highlights that there is scope for better synergies and cooperation between the different partnerships and regrets the lack of appropriate funding dedicated to the Agenda. 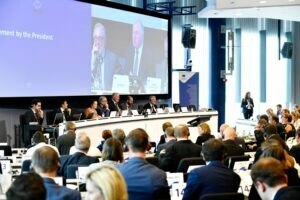 The opinion finally advocates for the next Multiannual Financial Framework (MFF) and Cohesion policy beyond 2020 to reflect the role of cities and calls for the development of much stronger awareness-raising for local and regional authorities about existing financing initiatives to support their urban projects. Launched in May 2016 with the Pact of Amsterdam, the EU Urban agenda is a step towards closer association between cities and the development of EU & national policies. It focuses specifically on three pillars of EU policy-making and implementation: better regulation, better funding and better knowledge. To deliver on the Urban agenda, several thematic partnerships have been set up on topics including air quality, urban mobility, migrants and refugees, climate adaptation or sustainable land use of which Cork city is a member. The opinion is scheduled to be adopted in plenary in July. 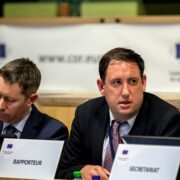 On March 23rd, the CoR Interregional group on Brexit appointed Michael Murphy (EPP), head of the Irish delegation to the CoR, as vice-Chair of the newly established Interregional group on Brexit. 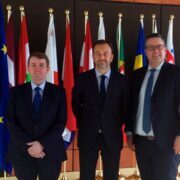 The group is chaired by François Decoster (FR/ALDE) and Michiel Rijsberman (NL/ALDE) has been appointed as vice-Chair. The group gathers 29 members from seven Member States, including the whole Irish delegation. This interregional group has been set up to enable local and regional representatives to express their concerns regarding the impact of Brexit on their regions and cities and to exchange information and potential solutions to prepare together for the future. The group will meet alongside each plenary session of the CoR. Interregional groups are platforms which bring together members and alternate members of the European Committee of the Regions on a voluntary basis to exchange views and foster the emergence of ideas likely to enrich cooperation between local and regional authorities in the Member States and beyond. 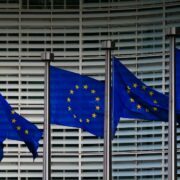 The establishment of an interregional group has to be approved by the CoR bureau.